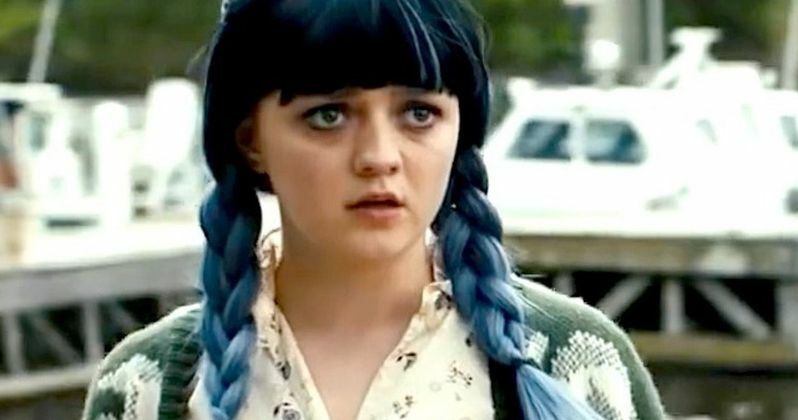 It was announced today that Maisie Williams is set to star in the 90's-set thriller The Owners, directed by Julius Berg, with a screenplay by Berg and Matthieu Gompel, based on comic book from renowned artist Herrmann and written by Yves H. The film is produced by Alain de la Mata at UK-based Bluelight, and executive produced by XYZ Films. XYZ will handle North American sales with Versatile handling international at the upcoming EFM in Berlin. The film will shoot this spring in Kent, close to London, in an isolated Victorian mansion, with casting by Dan Hubbard. The story takes place in rural England during the early 1990s. Childhood friends Nathan and Terry, broke and on the scrap heap at 20, are spurred on by an out-of-town sociopath named Gaz to rob Huggins, the elderly local doctor and his wife. Nathan's girlfriend Mary (Maisie Williams) is dead against the plan but the lads are set - the doctor's house is isolated, there's a safe full of cash, no none will be home - it's their way out of the world they've been born into. But the Huggins family returns early and is quickly subdued. The intruders are disguised but Dr. Huggins guesses the identity of his captors and reasons with them: stop now, before this goes too far... But it's too late for that. Desperation leads to violence, the tables are turned and a deadly game of cat and mouse ensues, leaving Mary fighting to save herself from a nightmare she could never have imagined. Williams is best known for her role as Arya Stark in HBO's Game of Thrones, which premieres its eighth season this April. Maisie Williams picked up a European Shooting Star Award at the Berlin Film Festival for her role in Carol Morley's "The Falling". In 2016 she received the London Critic's Circle Award for Best Young Performer and The Evening Standard Rising Star Award for the same role. Last year Maisie appeared in "Early Man" with Tom Hiddleston and Eddie Redmayne. She will next be seen in Marvel's "X Men: The New Mutants" alongside Anya Taylor-Joy, Charlie Heaton and directed by Josh Boone. Williams is repped by Louise Johnston Management (UK) and WME. This is Berg's first feature, following numerous directing credits like the hit Netflix series "La Forêt" and the France Télévisions series The Crimson Rivers. Said Berg. "I'm very proud that Maisie Williams is joining the cast of The Owners. Her already impressive experience will bring great force and vitality to her character and to the narrative of what promises to be a particularly intense thriller. Beyond her great talent she is an actor possessed of a profound humanity with who I am greatly looking forward to working." London based production company set-up by Wild Bunch co-founder Alain de la Mata and writer Geoff Cox. Involved with productions on all continents from Helene Hegemann Axolotl Overkill (Sundance 2017) in Germany, to Peter Mullan Neds (TIFF, San Sebastian) in Scotland, Avid Liongoren Saving Sally in the Philippines, Vivian Qu Angels Wear White (Venice Competition 2017) in China, etc. XYZ Films is an integrated content company whose mission is to empower visionary storytellers from every corner of the planet. As an independent production company and worldwide sales agency, the company is uniquely suited to identify talented filmmakers and bring their stories to life. XYZ was founded in 2008 by Nate Bolotin, Nick Spicer, and Aram Tertzakian. XYZ recently won the 2017 Sundance Grand Jury Prize for Macon Blair's I Don't Feel At Home In This World Anymore. Paris based sales company Versatile is dedicated to supporting the widest range of independent cinema and gifted filmmakers worldwide. Our goal is to introduce radical new talents such as Santiago Mitre's "Paulina" ( Cannes Critic's Week Grand Prize), Eskil Vogt's "Blind" (Sundance scriptwriting award), or Chris Peckover's "Better Watch Out".